Valentine’s Day is quickly approaching and soon you’ll be scrambling to find activities for your little ones to do while celebrating the day together! Here are a few ideas to get you going. 1. Make heart shaped pancakes – Make heart shaped pancakes for breakfast! Put pancake batter into a squeeze bottle and draw heart pancakes on the griddle! You can also cut sandwiches, deli meats, and fruits into heart shapes using cookie cutters. Creating heart shaped cupcakes or muffins is simple, just drop a marble or rolled up piece of tinfoil between the baking liner and muffin tin before baking to create an indent in the finished product, it will look just like a heart! 2. Create a conversation heart wreath – Cut the middle out of a paper plate to create a ring. Have your children help you cut out hearts and write short messages on them such as “I love you” or “You rock” and glue the hearts onto the ring to create a conversation heart wreath. Be creative with your phrases and make them special to your family. 3. 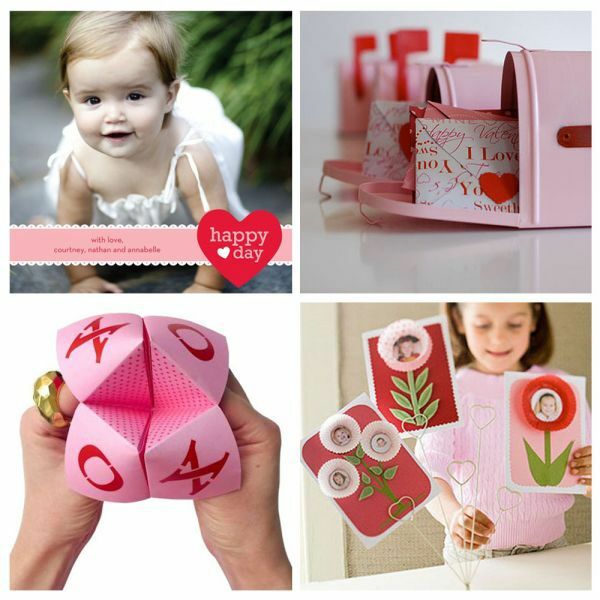 Make your own valentines – Younger children will usually have a party in their classroom to celebrate Valentine’s Day with their classmates, so take some time to help your child create their own cards. They don’t have to be fancy, all you need is some construction paper, glitter glue, stickers, doilies, and adhesive to jump start the creativity in your child. Encourage your child to be creative and let them create whatever they want to, the cards don’t all have to be the same as long as there is one for every child in their class. 4. Valentine’s Day scramble – Post a piece of paper on the wall that has the words “Valentine’s Day” on it and see how many words you can create from those letters, adjusting to the age of the children around you. How many words can you find? You could also add the traditional candy heart phrases and see what additional words you can make using those letters. 5. Hold a Valentine’s Day dance party – Invite your neighbors over for a fun, family friendly dance party! Decorate the room with streamers and balloons, choose a few fun songs together, and get ready to dance! 6. Themed worksheets – A quick search online will turn up dozens of Valentine’s Day themed worksheets, from math sheets to crosswords, so you can easily find something to meet your child’s needs. 7. Love themed books – Hit up the library for books with a Valentine’s Day or love theme; most libraries will have seasonally appropriate books on a separate shelf, which makes finding them easy. Check a few out and read them together! 8. Create coupon books for family members – Talk about what love is and what it means and then discuss various coupons you could create to show family members that you care about them. Offer to walk the dog for free, give a back rub, have one on one time, play a game together or offer to sweep the floor. The receiver can then choose when to redeem the coupons. Coupon books are a great way for kids to be able to give back to the family without a monetary contribution. 9. Go pink and red! – Create a pink and red theme! Pink lemonade, strawberry milk, cupcakes with pink frosting, watermelon, beets, strawberries, and apples are all great pink and red foods to offer for snack time. 10. Make a paper heart chain – Use your cutting and gluing skills to create a chain of hearts to hang up in your house! You can either create a chain by cutting hearts out like you would with paper dolls or cut out hearts together and tape or staple them together to create a chain of unique hearts. Hang them where everyone can enjoy them.